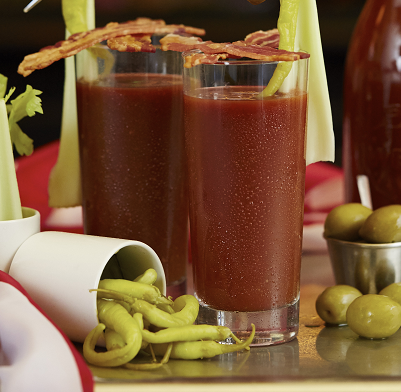 Possibly London's best Bloody Mary, this sophisticated cocktail recipe comes from the expert mixologists over at London's Balthazar restaurant. Add the lemon and limes wedges to a cocktail shaker. Muddle to release the juice and oils. Add the celery seeds by crushing in your finger tips to the shaker. Next add the Worcestershire, green Tabasco and grated fresh horseradish. Add less for a more mild Bloody Mary. Top with ice and the vodka. Leave out the vodka to make a Bloody Shame. Add V8® juice and pasatta. Shake lightly to chill and blend. Strain into a chilled highball glass and serve with your preferred garnish (try celery, olives, jalapenos or cooked streaky bacon).